One of the most crucial elements of a wedding is your aesthetic appearance, and how that aesthetic makes you feel. Which is why during the process of planning the wedding, it is imperative to hire a professional make-up artist so that you know the task is being handled by an experienced person. There have been many horrific accounts of brides using one of their siblings or friends to do the make-up for their wedding, only to be completely devastated upon witnessing the results are not nearly up to their expectations. While you may save a decent chunk of change by electing to use an amateur, you will be getting what you pay for. If you have the budget space, and are looking for a good make-up artist, you are in luck, as Atlanta is full of fantastic make-up artists. If you follow the guide below, it should help you find the right person for the job much easier than just taking a shot in the dark. Your first step is to ask your friends, family, and colleagues if they have any recommendations. Talk to vendors they have built a rapport with over the years. It is also a very good idea to go to your local mall, and go to a department store such as Lord and Taylor's, Macy's, or Bloomingdale's. 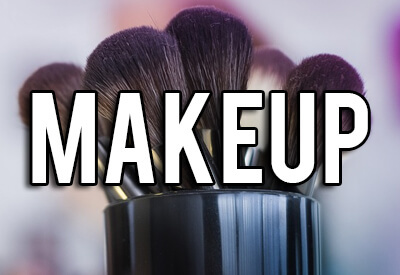 It may help to cross reference these candidates on the internet Call or ask each potential make-up artist up, and ask them if they are available on the day you are having your wedding. The second step after scheduling interviews with each available candidate is to prepare some questions and your vision to share with them. Ask them how experienced they are in their field, and how many weddings they provide their services to on a yearly average. Ask to see pictures of past clients, and if possible, in-progress shots. For every interview, you should have them run a demonstration on you. You want to be open with each candidate, you want to be able to determine if they will mesh with your expectations. It may help to schedule a trial with the candidates that really strike you as legitimate contenders. Perhaps you have a big company dinner or gala coming up that you want to look spiffy for? This would be a good time to test one of the make-up artists to see if they are even capable of handling your wedding. One of the biggest complaints that bride's have with professional make-up artists is sometimes they are a bit too heavy-handed. This trial run should be a good indicator if this candidate is up to scratch. Before the end of each interview, make sure you have taken good notes so that you can compare each candidate and make a final decision. Once you have done a couple trial runs with the candidates, and have determined which ones will provide you the most bang for your buck, you should write up a contract, and place a deposit with the candidate. Make sure you have a backup plan in case of emergency. Trust your instincts, you will be so moved by the fantastic job they did for you that it might move you to tears, just do not smear the eyeliner! Congratulations on your wonderful wedding!